Tour Pronghorn Resort on a ResortBoard! New Rental Centers Opening Soon! 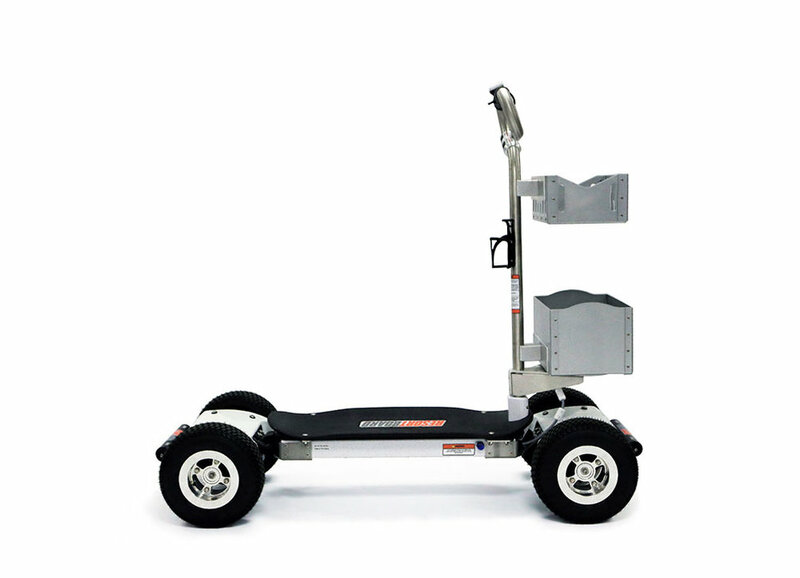 A highly versatile personal transportation vehicle, our ResortBoard is perfect for getting around large resorts, residential communities, ski resorts, trailer parks, camp grounds, harbors and marinas. Every tourism destination with a large property can offer ResortBoard rentals as a fun, convenient, and low cost alternative for getting to the store, pool, tennis club, restaurants, as well as for shopping, picnicking and sightseeing. The ResortBoard is simply the most exciting, safe and accessible way to experience any vacation destination. Looking for a more active and environmentally friendly way to get around? Become a ResortBoard owner today—it weighs only 125 pounds, and costs just 7 cents a charge for up to 18 miles. 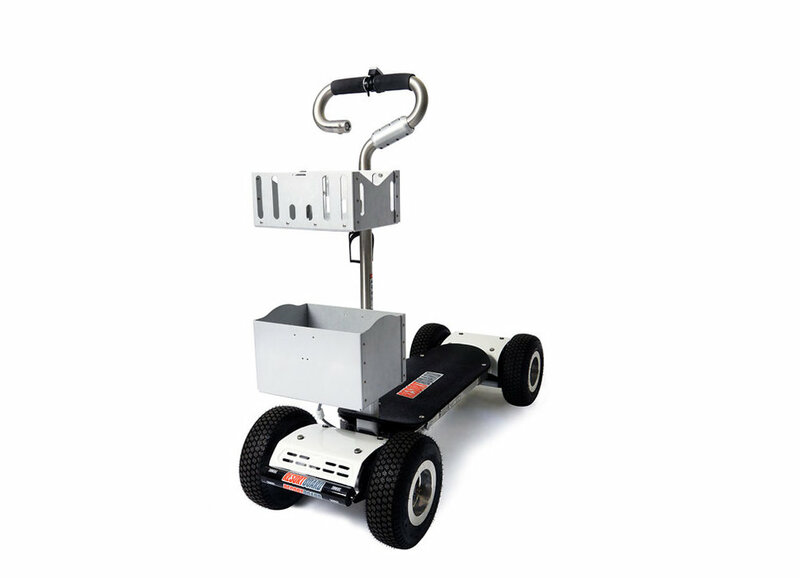 The ResortBoard can be used on pavement, gravel, loose dirt, mud, and even packed powder. It’s the perfect vehicle for year-round back-country trail riding, including fire roads, single track bike paths, cross-country trails, and catwalks. The detachable carry baskets and cooler allow you to bring extra gear, drinks, and snacks. With over 400 pounds of total carrying capacity, you can load tools and other equipment for your backcountry excursion. The rugged design includes heavy-duty front and back spring brackets, off-road suspension system, plus 13x5 inch wheel package that improves stability and optimizes clearance. 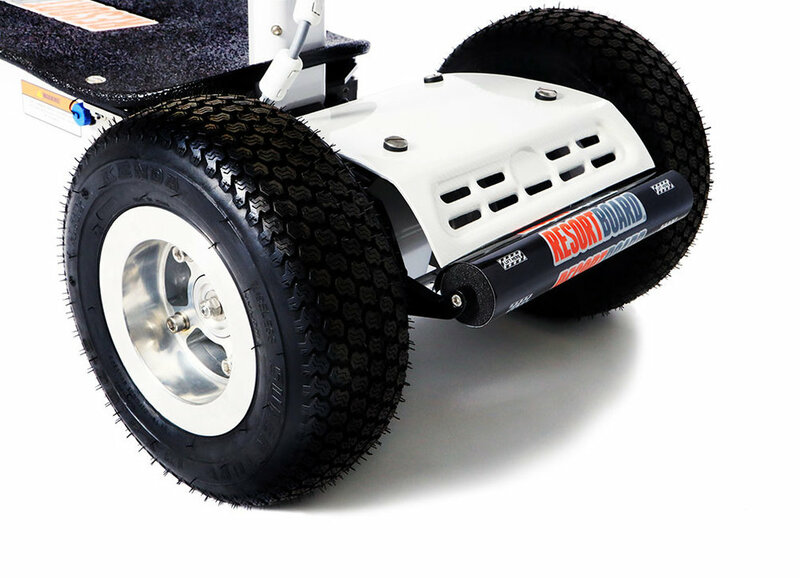 ResortBoards are also equipped with an undercarriage protection system that includes gearbox skid cover and protective roller bars. Whether a vacation destination looking to introduce an exciting new offering, or an individual user who wants to take advantage of the convenience of a narrow profile electric personal transportation vehicle, the ResortBoard will provide an unforgettable 'Surf The Earth' experience. Click HERE to find out where to ride the ResortBoard! We are committed to changing the way tourists choose to travel. Blending fun, convenience, performance, and ease of use in to a revolutionary new personal transportation vehicle, our mission is to create the next generation of vacation mobility. Now resorts and tourist destinations worldwide will be able to offer a unique new boarding experience that will attract new guests and help differentiate their property from all others. Expect to soon see ski resorts crowded with ResortBoards, including during the summer off-season, as well as large groups of guests enjoying guided tours of the beautiful landscapes of premier resort properties. The ResortBoard will transform vacation and tourism transportation by providing a unique new experience for travelers and guests, while generating an entirely new revenue source for resorts worldwide. Vacation and tourism destinations can now buy, lease, or rent a fleet of ResortBoards and become the first in their market to make available this unique new offering. OR – buy one for yourself, and be on the leading edge of the next generation in personal transportation. Total Weight: Approximately 144 lbs.